The name means ‘Yellow House’. On 17th January 1889 Fanny Williams of Tymelyn was buried at Cilgerran Church having died aged 32. George C. Williams occupied Tymelyn in 1890-93. In 1891 the following persons lived here: 1): George Williams, 37, retired farmer; Mary Ellen Williams, 37, his wife; 2): Eynon Richards, 35, plumber; Eliza Richards, 35, his wife; Elizabeth Richards, 13, their daughter; David John Richards, 10, son; William E. Richards, 4, son; Emma Richards, 3, daughter; and Mary Jane Richards, 6 months, daughter. On 13th January 1890 Miss Frances E. Williams of Tymelyn, formerly of Penralltrheiny, died aged 32. 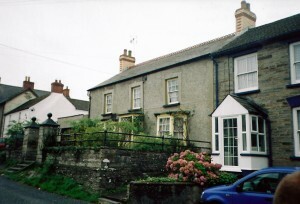 In March 1896 and August 1901 Tymelyn was advertised to let. In 1905 Mr. G. B. Thomas lived here. In 1915 Margaret Thomas of Tymelyn, died. In 1915-45 Mr. J. Oliver Jones, headmaster of Bridell Board School, lived here. In September 1915 J. Oliver Jones of Tymelyn was elected a Deacon of Babell C. M. Chapel. On 10th April 1917 Mrs. Jane Jones, mother to John Oliver Jones of Tymelyn, died here. On 26th November 1930 Mrs. Hannah Griffiths of Tymelyn died. On 19th November 1945 J. Oliver Jones died aged 73. In November 1945-November 1948 Mrs. A. Miles lived here. On 10th December 1945 the funeral was held of Mrs. M. A. Jones, widow of J. Oliver Jones of Tymelyn, following her recent death aged 78. In 1952 Tymelyn was occupied by Miss Martha Michael, Alun Jones Edwards, Mrs. G. O. Edwards & Miss A. Edwards. In May 1955 Miss Martha Michael of Tymelyn died. Tymelyn was advertised for sale in August 1963. In 1965 Mr. J. O. Mathias lived here. The house was listed in 1994. 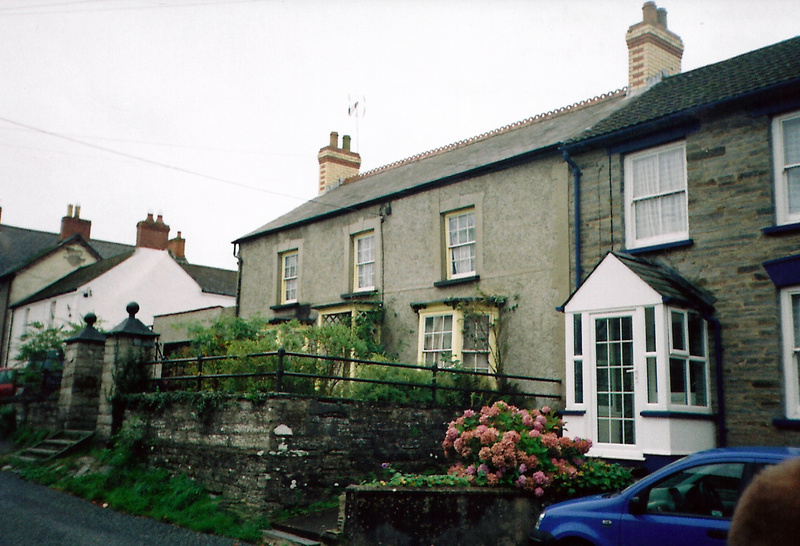 “…Early C19 house with later unpainted roughcast, slate roof and later C19 brick end wall stacks. Two storeys, three-window range, hornless 12-pane sashes in stucco surrounds above, two canted bays with 8-12-8-pane hornless sash windows and bracketed eaves, centre 6-panel door and traceried overlight, in trellissed porch. Cilgerran Horticultural Show Programme 2002.